LAWRENCEVILLE, Ga. - The Gwinnett Stripers host the Charlotte Knights (Chicago White Sox) for a four-game series from April 15-18. 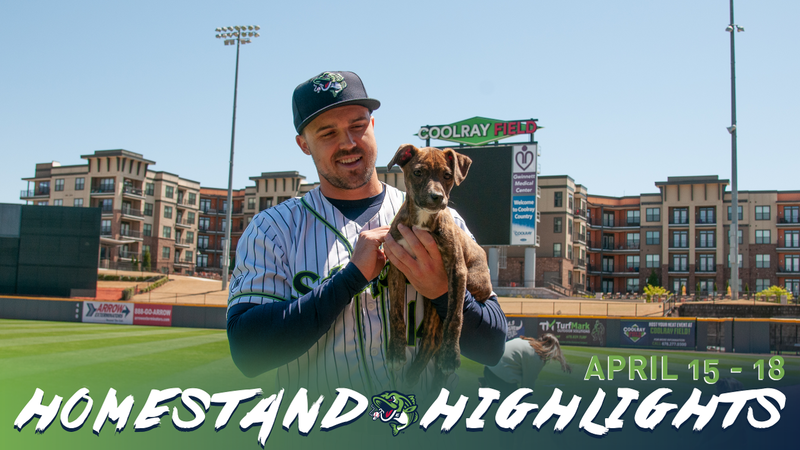 The homestand includes Swag Monday and Jackie Robinson Day on April 15, the season's first Wet Nose Wednesday on April 17, and much more. Game Time: First pitch is at 7:05 p.m. Coolray Field gates will open at 6:00 p.m. Wet Nose Wednesday: Dogs receive free admission with a paid owner on The Bank every Wednesday. Upgrade your ticket to the Doggie Bag for $13 (includes 1 General Admission human ticket, a hot dog, and a doggie bandana), presented by Kicks 101.5 FM. Game Time: First pitch is at 10:35 a.m. Coolray Field gates will open at 9:30 a.m.